I was introduced to the Sound by my friend Nick during my first year at University – I seem to recall he sent me a cassette which had loads of random stuff on it including a wonderful track called Missiles by the Sound. 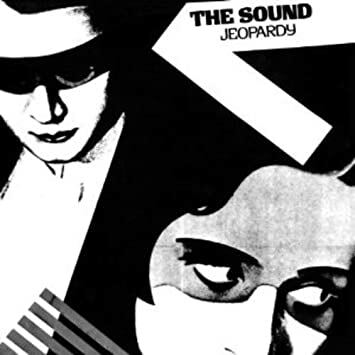 I loved it so much I went out and bought their album, Jeopardy. Then one night I was out in Manchester with my University friends when we walked past the music venue Rafters – I have no idea where we were going but as we walked past I spotted a sign outside that said “Tonight, The Sound £2” – I just knew I had to go but I couldn’t convince any of my friends to come with me so in the end I said goodbye to them and went to the gig on my own! I then asked “the Sound as in Who the Hell makes those missiles, The Sound” to which he replied yes. Wow thought I and proceeded to tell him about the time I’d been out with some friends in Manchester and just happened to be passing Rafters and saw the Sound were playing. I ended up not convincing any of my mates to go and see the band and went in on my own. To my surprise he seemed to recall the gig and even went as far as saying that they’d never got paid that night as the promoter (and at this point he mentioned a name that I recognised) had done the dirty on them. Now since that night the internet has of course opened the world of useless information up for everyone. I googled about this and to be honest I still don’t know if he was telling the truth about being a member of the group. I couldn’t remember his name or the instrument he said he played and none of the post band stories ring true for someone I was working with but I did find out that the Sound did support Echo and the Bunnymen at the Birmingham Odeon so I guess I’ll never know!